butte wrote: Where "1 year is like a decade and that's way too long," how many OC .x releases has that typically spanned? People who obtain free or commercial extensions frequently find that whatever worked just fine suddenly stopped working, for whatever reasons they and developers may (or may not) care to resolve, among .x releases and various server environments that came to light. A "mere" upgrade in server php.exe can cause problems to appear, as happened recently to several people on 5.4.x on bluehost. people should not be updating their site with every release. if the site is running well leave it a lone. The majority of the time is actually spent providing support, compared with adding new features into an extension or supporting new releases of opencart. 1. Developers - only reason for purchasing is that its more cost effective then building their own. 2. Not developers - people who require support. Might be a novice developer fall into this. Developers dont require the support, so should be able to purchase the extension for cheaper without having to create 2 versions of the same extension at different prices. The download should never expire, after 1 year you no longer have access to the latest version of the extension, only the version when your license ran out. This is going to require some major additions to the opencart.com extensions area so that it would have to keep a record of all the extension versions. As others have said it would then be nice to offer a discount to customers upgrading. I think Daniel plans to just stop allowing access after a year, assuming the customer will have downloaded a copy by then, and they can store it themselves -- is that right, Daniel? Johnathan wrote: I think Daniel plans to just stop allowing access after a year, assuming the customer will have downloaded a copy by then, and they can store it themselves -- is that right, Daniel? yea I'm pretty sure that is how it will be set up... basically a where clause that adds "where purchase_date <= 1 year ago"
more than one years support need more efforts, deserve more pay. Not all devs use the extension comments. The comment system is setup so that the "reply to" address to the notification email goes directly to the customer, so many if not most issues are resolved in private. I've stated over and over that the extension comments should NOT be used for support as most mods have a support email listed in the readme file that comes with the mod. People who choose NOT to read the readme file to find out how to ask for proper support shouldn't expect speedy replies on the comment system if they cannot follow the simplest of directions. I have some sites on BlueHost. What happened is that BlueHost - not the website owners - force-pushed a global PHP upgrade on all their servers. They indeed sent a number of warning e-mails about this action, but whereas I and others would know what to (eventually) update to work with PHP 5.4.24, many pure end users just stood there and got the upgrade in their teeth. Imo you, Daniel and others should read this mere suggestion of mine. The "12 month => make'em pay" is a consequence, a consequence of something bigger and that needs to be looked from a more "macro" perspective. Basically OC needs a community, a life-breathing community where there are tools to establish a more formally supported relationship between buyers and sellers. If I am a seller / coder I want to be able to show my features better (hence why many have to resort to external websites), if I am a buyer I want to know in advance if I am dealing with an hobbyst coder, with a rated company, if they are quick at support or not, if they may eventually talk on phone or even take contracts for extended (and why not, on place) support or not. Likewise, the customer asking for a mod customization involving 1 vQMod line should not be in the same 10 pages long, "thread" with the guys arguing why yesterday's release won't work on their OC 1.4. That is, current OC's extensions pages should become more than what they are now, they should become a community marketplace with flexibility of choices for developers and buyers. The 12 month => pay should just be a detail of a broader re-think of how OC is serving its community. Look say at WordPress, even their free mods have a richer experience of community website than OC's payware mods. It might seem obvious, but by making it simple to grow a community, the OC product grows in popularity by consequence. Wow, let me at least download the version that I paid for. Jesus guys wtf?! for "commercial" and non-profit Assoc. - Renewing : ...each year ....or ...*each Major Modification needed = 20%<>50% of O.P. *fair trade, if you didn't bring any new code, Why wanna charge for it ? ..hmmm ? - Good for Ext. developer, Fidelization of the users to his product compared to the "competition". - Good for the O.C. Main Team - Extentions offers very cool and attractive plans. + win/win game. Dev needs to eat too ! - Keep having 100% other Free extention is also a must if not part of the filosphy of Opensource. ...my 2cts personal view of course. I have to agree with some of the suggestions on here. Expanding the OpenCart extension store functionality to include more options on the extension page would definitely help developers. One of the biggest limitations is the product description max char limit. Once you start adding any BBCode you can reach the max char limit very quickly. Unfortunately, this means that the customer is left with only a partial description of the extension capabilities. Another feature which would be very helpful for developers would be integration of a support ticket system. I know that currently you guys use Zendesk for support, but the request goes straight to OpenCart and eventually the developer is CC'd on the request. I believe integrating a direct to developer support ticket system for developers to utilize will eliminate a lot of the unwanted support requests via the comment section. I also sell my one extension through the Mijosoft Extension Directory and they have an integrated ticket system. It makes requesting support for the customer easy, and answering support even easier for the developer. It also allows you to easily track support tickets. Couldn't agree more. Great suggestions. 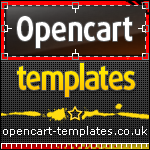 I am new in Opencart Extension Development, but I have few years behind in software development and licensing for our other software. There is a few issues what I see in the actual system. 1. I cannot add more then one item to the store, but sometimes I buy for a store 2-3 extension at a time. I need now to go through ordering each time. 2. As a developer, clients will ask me to buy extensions, they will never open an account through you. This means that I should have a possibilities to mention in my downloaded extension which ext for which domain it it (actually what I will propose as a developer it will solve this). 3. Many times I left message in the comments section. Never get a mail that it was new comment there (or disable per extension if I want) and also it is working like always last answer is on last page. Also solutions should be highlighted by developer to see that is an important answer. 1. Extension cannot be licensed. Of course we solved this issue, we use SPBAS licensing software for all of our software and it work. (http://www.spbas.com/) This software will allow to keep on your server the licensing server and you give to the owner of the software a LIC code. Then monthly the site will send to us a verification and will verify if the license is valid or not. The advantage is that can be licensed by IP, by domain, by MAC address and there is a lot of way to protect yourself. This solution should work, as IP for multistores or MAC address, I presume that any multistore is on same server. An another advantage of this solution is that you can lock down the LICENSE to one seat install, so if a developer will develop a new site and want to install on an another domain, he can get new LIC code (discounted at 30% for example). Developers will sell more in this way. 2. Indeed, the extension submission page is very old fashioned. I cannot preview the extension if I do not enable it. 4. To sell one time license is OK, if you will not update your extension with new features. But for example we just done a Google Adwords API integration into Opencart and this will require constant update and also because clients will use our MMC account, we can be charged in the future by Google if we overpass the allowed / day requests. It should be several way of licensing. One time with yearly renewal if you want to download. One time with yearly fee for usage. One time and periodic recurring until you use the software (this is why SPBAS is there, to discontinue if not used). Now based on this, OC guys can use or develop an SPBAs (easier to get already done and is very good) and implement LICENSE keys and developers just integrate into extensions. Of course, like any system, can be hacked/nulled, but that cannot be avoided, who will use nulled script, will never pay for it, can be ignored. Legitimate customers will get updates, will get support (paid or not). 2) Developers would usually announce for a month or so, before they changed their licensing, and in effect made all future purchases on yearly renewals. However, a major developer, WooCommerce failed in doing so, and abruptly increased prices while changing lifetime licenses to 2 years renewal, facing a severe backlash. They then grandfathered those who have purchased earlier. But yes, it'll kill the OpenCart market. Who would want to buy, if we need to keep renewing and paying a premium 4 times a year? And no, it's NOT alright not to update. How about security problems? 2) Grandfathering helps OpenCart grow, and also keep your current customers happy. After all, how many of your customers are seeing profit with their shop? If everyone needs to renew (while some like me, don't need support. Instead we report bugs and don't get paid for it), what happens to those who don't renew because they can't afford it? 4) Build blogging as a core product of OpenCart. As such, with content marketing on the rise for commerce stores, a lot of stores are installing Wordpress to blog, not OpenCart. a) Offer a last chance saloon for people to buy their extension licenses at lifetime. (Even if you never offered lifetime explicitly, why not). You can choose to limit support to 3 month period, and then have support renewal fees, like $ 3 - 5 for each support needed. ii) Or/And have support fees for tickets of USD 3 to 5. After all, if we give you 10 tickets, it's USD 50! Don't you like that? iii) If you are going the renewal rate way, have a maximum cap on the price of extensions. No way majority would pay USD 200 and then 50% for renewal yearly That's a ripoff, and yes, we'll start our own development shop and sell a similar extension for cheaper After all, it would be really lucrative then to sell OpenCart Extensions, wouldn't it? And we can fork your code and make ours better . What you want, is to grow the OpenCart Pie. As such, extension prices for mom and pop shops, or those from poorer countries (like mine, Malaysia), shouldn't be paying the same prices for developers, who will use your extension for numerous sites. Woothemes found a way about this with their WooHelper, which lets you activate/site. If prices becomes too pricy, people would just hop on the next bandwagon, or move to SAAS based ecommerce carts. Even with renewals, you need to think it through thoroughly, and then give people ample time to consider / respond. If I need 50 extensions to get the same functionality of Amazon, or even WooCommerce, how much would my renewal fee be? If you are looking for a way to sell digital downloads and have them activated by site, perhaps someone can develop an extension for it? Or a number of modular extensions?